Even the calmest of individuals can get flustered with the stress of a house move. But you can remove some of that pressure with Number 593a Holburn Street, which is presented on the market in truly ready-to-move-in condition. 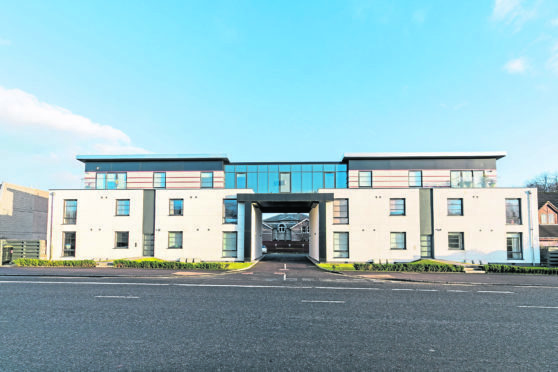 This two-bedroom flat is situated within a new development just south of Aberdeen city centre and offers versatile living in an enviable location. You’ll be eager to entertain thanks to the modern interior and there is plenty of flexibility on offer. The open-plan kitchen and lounge create a wonderfully fluid space which is sure to be a pull for buyers looking for a trendy space which will fit their needs. This area will clearly be the heart of the home, and the lounge is cosy and chic with neutral decor. 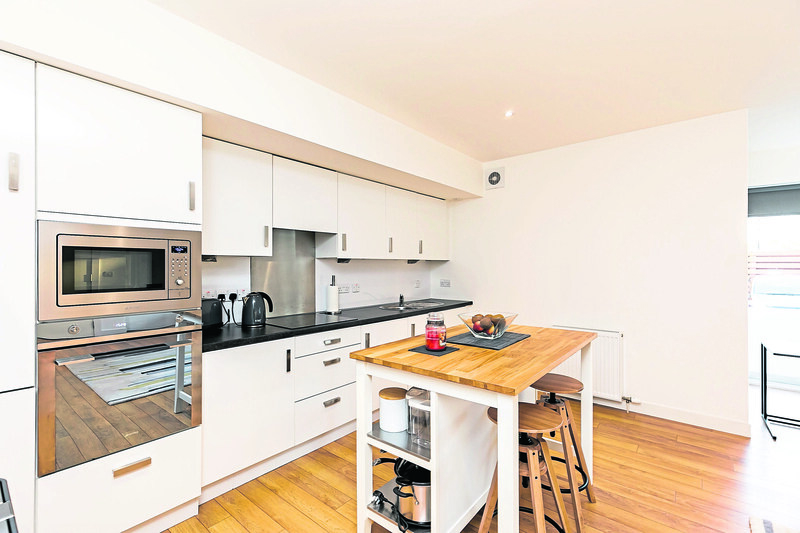 In the kitchen there is ample work unit and storage space, ideal for those who love to get creative at mealtimes. The island breakfast bar is a great spot for your morning coffee, while there is also room for a dining table for more formal get-togethers. 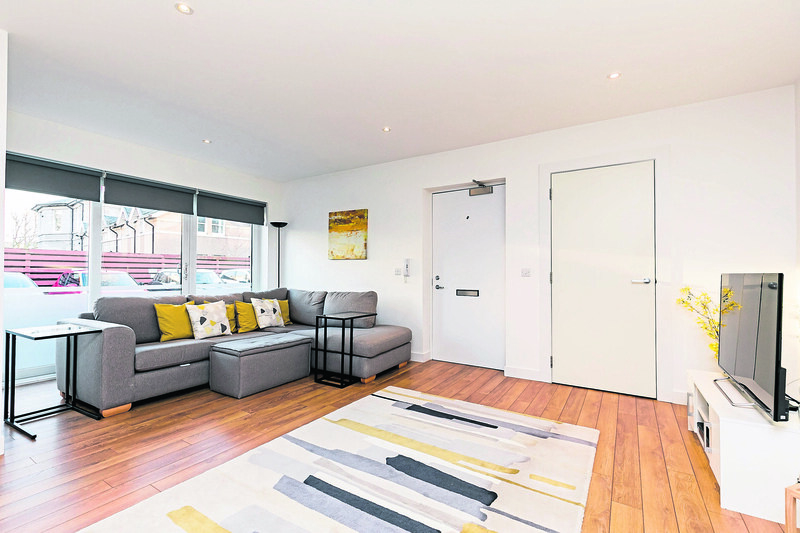 High-quality wooden flooring and floor-to- ceiling windows give the whole space a bright and stylish feel, somewhere you’ll be keen to show off to friends and family. Head through to the master bedroom where you’ll feel instantly relaxed. The monochrome-themed decor makes for a tranquil and modern atmosphere, and you’ll never struggle for storage space with large, fitted wardrobes. The en-suite shower room has been completed to a high standard with a white, two-piece suite and separate shower enclosure. Bedroom number two is also of a good size and offers more built-in wardrobes. Handy “Jack and Jill” access to the main bathroom is also a perk. 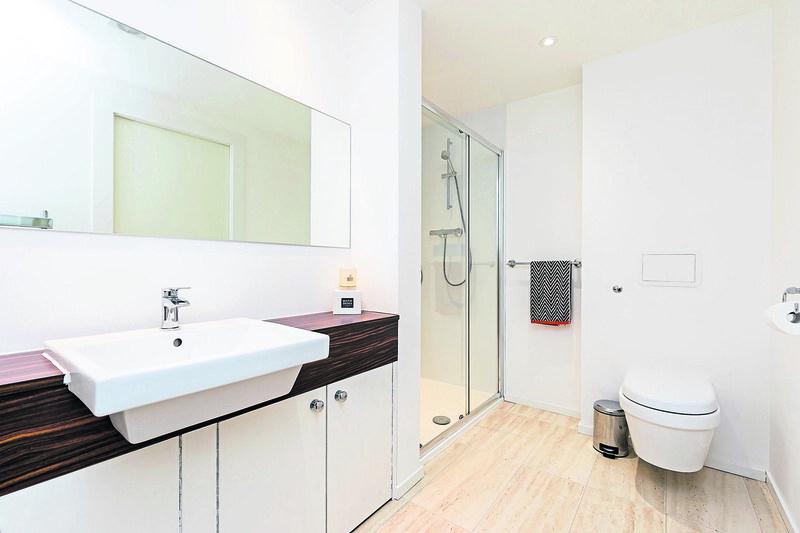 This room completes the accommodation and has been fitted with a white, three-piece suite including shower over bath. Outside, allocated spaces provide off-street parking, while there is also access to a shared bicycle store and landscaped grounds. 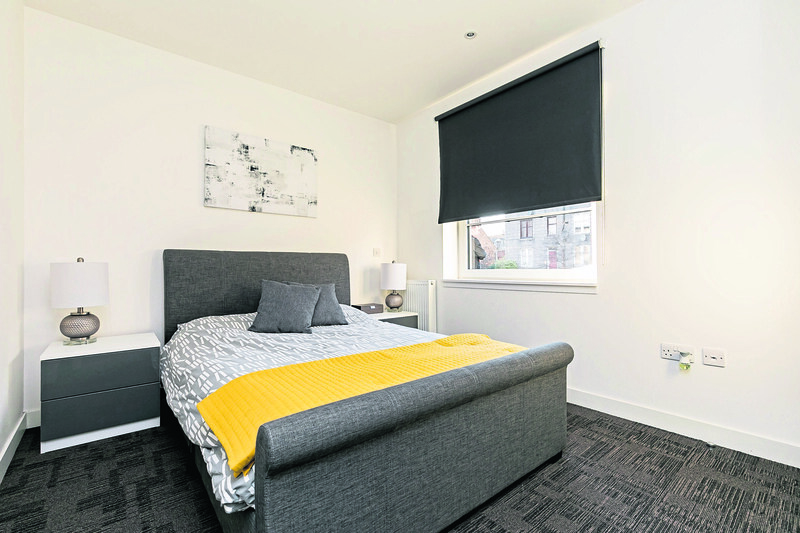 Number 593a Holburn Street is ideal for those working in the city centre, and is just a 20-minute walk to Union Street. Offers should be made in the region of more than £210,000. Contact Aberdein Considine on 01224 589589.